Denys George Finch Hatton (24 April 1887 – 14 May 1931) was an English aristocratic big-game hunter and the lover of Baroness Karen Blixen (also known by her pen name as Isak Dinesen), a Danish noblewoman who wrote about him in her autobiographical book Out of Africa, first published in 1937. In the book, his name is hyphenated: "Finch-Hatton". 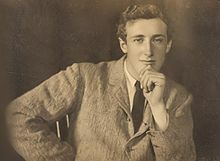 Born in Kensington, Finch Hatton was the second son and third child of Henry Finch-Hatton, 13th Earl of Winchilsea, by his wife, the former Anne "Nan" Codrington, daughter of Admiral of the Fleet Sir Henry Codrington. He was educated at Eton and Brasenose College, Oxford. At Eton, he was Captain of the cricket Eleven, Keeper of the Field and the Wall (two major sports played at Eton), President of the Prefects Society called Pop, and Secretary of the Music Society. Blixen's house at the farm (now a museum). In 1910, after a trip to South Africa, he travelled to British East Africa and bought some land on the western side of the Great Rift Valley near what is now Eldoret. He turned over the investment to a partner and spent his time hunting. In Kenya, Finch Hatton was a close friend of the Hon. Berkeley Cole (1882–1925), an Anglo–Irish aristocrat, born into a prominent Ulster family, who had also settled in the colony. Cole was very well connected in Kenya, being the brother-in-law of Hugh Cholmondeley, 3rd Baron Delamere, the effective leader of the White settlers in the country. In Channel 4's Edward VIII: The Lion King, it was revealed that in 1928 and 1930, Finch Hatton played host to the Prince of Wales, later Edward VIII, in a safari that switched from hunting to photography. This relationship led to Edward VIII's taking up Finch Hatton's causes, such as abandoning the use of cars for hunting safaris, and shifting towards filming big game, wildlife photography, and the founding of the Serengeti National Park. Finch Hatton was not known to have had any serious romances before he met Baroness Blixen. They were introduced at the Muthaiga Club on 5 April 1918. Soon afterwards he was assigned to military service in Egypt. On his return to Kenya after the Armistice, he developed a close friendship with Blixen and her Swedish husband, Baron Bror von Blixen-Finecke. He left Africa again in 1920 but returned in 1922, investing in a land development company. By this time, Karen Blixen had separated from her husband, and after their divorce in 1925, Finch Hatton moved into her house and began leading safaris for wealthy sportsmen. Among his clients were Marshall Field Jr and Edward, Prince of Wales. According to the author Mary Lovell, in a highly sympathetic biography of Beryl Markham, in 1930 Finch Hatton succumbed to a love affair with Beryl Markham, who was working as a race-horse trainer in Nairobi and the surrounding area. 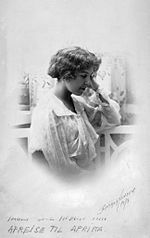 Markham had had a series of male lovers, both single and married, and she had apparently had an attraction to Finch Hatton for years, but not acted on while Blixen, who gave Markham shelter and support over the years, was most deeply involved with Finch Hatton. During this period, however, he was also still seeing Blixen. Later, she would become known as a pioneer flyer herself (Markham attributed her interest in flying to her association with Tom Campbell Black). On the morning of 14 May 1931, Finch Hatton's Gypsy Moth took off from Voi Airport, circled the airport twice, then plunged to the ground and burst into flames. Finch Hatton and his Kĩkũyũ servant Kamau were killed. In accordance with his wishes, Finch Hatton was buried in the Ngong Hills, some five miles to the west of the present-day Nairobi National Park. Later, his brother erected an obelisk at the gravesite upon which he placed a simple brass plaque inscribed with Finch Hatton's name, the dates of his birth and death and an extract from Samuel Taylor Coleridge's narrative poem the Rime of the Ancient Mariner: "He prayeth well, who loveth well both man and bird and beast". The co-ordinates of the gravesite are: 1°24′48″S 36°39′45″E﻿ / ﻿1.4134°S 36.6626°E﻿ / -1.4134; 36.6626﻿ (Denys Finch Hatton gravesite). According to Out of Africa, there is a memorial plaque on a footbridge at Eton. The bridge is inscribed with the words "Famous in these fields and by his many friends greatly beloved. Denys Finch Hatton 1900–1906"—the dates refer to his attendance at Eton. Finch Hatton was portrayed by Robert Redford in the 1985 film Out of Africa. ^ "Index entry". FreeBMD. ONS. Retrieved 22 February 2018. ^ Beryl., Markham,. West with the night (First ed.). San Francisco. ISBN 9780865471184. OCLC 9642470. This page was last edited on 14 February 2019, at 18:09 (UTC).